Every year, seniors are scammed out of tens of billions of dollars, money they’ve spent their entire lives saving only to have it stolen. 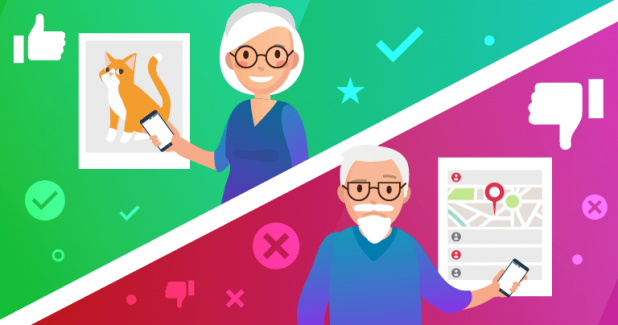 The elderly have always been a prime target for Internet scams because of a perceived vulnerability, and now because Internet use among seniors is on the rise. A Pew Research Center survey showed that 67% of seniors are now regular Internet users. 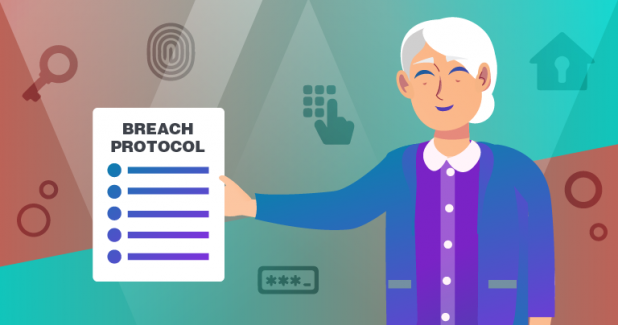 Internet security is something everyone should prioritize, regardless of age, so it’s important to be aware of current threats and how to deal with them. With so many people online, the magnitude of scams is increasing. Hackers are always on the lookout for vulnerable systems that they can break into. Viruses and other malware often infect a computer through email attachments, compromised software, or vulnerable Bluetooth connections. With so many powerful, affordable security tools on the market, there’s no reason to risk an infection. A firewall acts as the first layer of protection between your computer and any third-party by acting as a barrier. If you’re using a home computer, you need to ensure that your firewall is always turned on. Depending on your operating system, you can turn on Windows Firewall through the Control Panel. It will also notify you if any attempts have been made to compromise your security. If you’re a Mac user, we recommend you check out our list of vetted antivirus programs. Antivirus software is one of the most important solutions you can use to avoid infections. 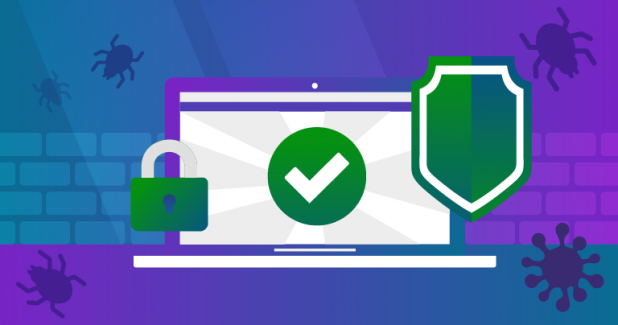 Both free and paid versions exist, and the most popular free options include Avast Free Antivirus, Microsoft Windows Defender, and AVG Antivirus. Make sure that any software you use is regularly updated and running the latest version. Norton by Symantec is a great all-around option that is reliable and easy to use. Comodo offers a seamless experience. Start and stop scans with only one click. NANO PRO loads fast and is easy to navigate. The installation process is basic as well. If you’re looking for more options, check out our reviews on some of the best antiviruses on the market. Advertising is important for helping websites stay in business and keeping the cost of internet use down for consumers. However, some sites take things too far with so many ads you can’t even see the screen. Other websites may even be using ads to hide malware, a trick known as malvertising. Some of this malware can install on your computer by simply visiting the webpage, even if you don’t click on the ad. Luckily, an ad blocker is easy to install or can be added as a simple extension to your browser. The best free ad blockers include Adguard for Chrome and Firefox, AdRemover for Chrome, and Ghostery for Chrome, Firefox, Opera, Safari, Internet Explorer, Android, and iPhone iOS. You also want to protect your system against other possible threats like spyware. Window’s users can download the Microsoft Malicious Software Removal Tool from the Windows Download Center. Both Windows and Mac users can use an anti-spyware solution like Malwarebytes. Your computer needs to be protected with a password that is both complex and hard to guess. Ideally, it will be a combination of letters, numbers, and special characters. It also shouldn’t include any information that people can easily guess about you like your birthday or name. Using these steps will ensure that any activity that you do on the internet does not negatively impact your computer. The software will protect your computer against any breaches and will notify you of the same. However, even with this software, you have to use your diligence in who you interact with and which websites you visit. The software can’t protect you against any scams and can only protect your computer system. Scams that are communicated through an email are the most common. Phishing, for example, tries to steal sensitive information such as usernames, passwords, and credit card details for malicious purposes. Phishing typically involves a scammer pretending to be someone else. The email looks real and will have a company’s color scheme, logo, and design style. It may feature an offer that seems too good to be true. However, if you look closely at the domain, you’ll notice it isn’t real. It may originate from a domain like Ama.zon.com, for example. When you click a link in that email, you will be taken to a website that may infect your computer with malicious threats. If you complete a purchase on this fake website, your credit card will likely be stolen. Another form of email scams is whaling. It’s a lot like phishing, but the scammer targets businesses or C-level executives. Likewise, the email seems to come from a high-ranking executive, providing the scammer access to an account. The Snapchat CEO’s name, for example, was used in a mass email sent to his employees; it was successful in obtaining sensitive information about the company’s employees. To avoid this scam, verify the identity of the person sending you the email. If the email address and credentials check out but you’re still suspicious, contact the person or company about the email before following through. Scammers send out emails that appear to be from your bank or other financial institution. They generally claim that they need your account details to confirm a transaction or to investigate unusual activity. With access to your private data, they can now use your credit card to make purchases. One of the most popular methods is the IRS phone scam. A fraudster will call victims, warn them that they owe money to the government and that they are facing jail time, and harass them into paying it. They will encourage you to make payments through a wire transfer, prepaid debit card, or gift cards. Never verify your identifying information to someone who contacts you, regardless of how they reached out to you. The IRS will never contact you like that. A quick call to them will confirm if these debts exist. Security software scams send a pop-up message to your device stating that your privacy or security has been compromised. They will often suggest you install a certain piece of software. They may also offer to do a cleanup for you. Downloads from this pop-up are actually going to install a virus onto your computer. Visiting an infected website can trigger a popup box that says your computer is infected. You’re directed to call the tech support phone number where an agent takes over your computer, pretends to find and clean dozens of viruses, and sells you a security suite for hundreds of dollars. All of the software the agent installs on your computer was readily available online for free. Fortunately, this one is very easy to avoid: never click a popup box that tells you your computer is infected. First, stay safe by downloading a strong antivirus security suite and keep it updated. Should you accidentally stumble upon a popup box by mistake, exit out and ignore it, then run a virus scan using your own installed software. Fake lottery and competition scams are still a threat. You receive an email that tells you that you’ve won a significant but still believable amount of money. All you have to do is provide your bank account or credit card details so you can pay a small processing fee and so they can transfer the amount to you. Instead, the scammer accesses your accounts and withdraws funds. The email message will also tell you to respond quickly or risk missing out, and urge you to keep your winnings private or confidential, to ‘maintain security.’ Both of these should be major red flags. Remember that you can’t win a lottery that you never entered. Ignore these emails and never send sensitive information or bank account details to a stranger. Romance scams are another threat that you need to be aware of. This year alone, in 2,900 cases, they’ve cost over $20 million. They are an effective scam that people of all ages fall for. A romance scam involves an individual being conned by someone pretending to be their partner. The scammer will create a profile of a young person and reach out to other individuals. They will slowly talk to their victim, building trust, and a relationship. Eventually, they will ask for money for basic needs and other small things, slowly conning their victims out of their money. It isn’t always easy to spot romance scams. They often play out like real relationships. The number one defense is common sense. Grandparent scams are growing at an alarming rate. They cost an estimated $328 million each year. This scam specifically targets the elderly. Grandparents will receive a call or text message that is supposedly from their grandchild. In it, they desperately ask for help, saying they are in jail, at the hospital, or trapped somewhere dangerous. A scam like this is typically successful because it creates a sense of urgency. According to the FTC, individuals over the age of 70 have suffered the highest average losses to it. See what payment method the caller requests. Western Union, a gift card, or a wire transfer are red flags. Ask an identifying question that your grandchild would know. Sextortion scams involve an individual getting blackmailed into paying a ransom. Say grandpa visited an adult-themed website that was filled with malware. A keylogger and remote desktop program are installed on his computer while he’s browsing the content. The keylogger will log his passwords, while the remote desktop program will record what he’s looking at, as well as him if he has a webcam. The scammer then uses the pictures, videos, and passwords they’ve collected to blackmail their victim into paying a ransom. The best line of defense against this scam is to keep an up to date antivirus on your computer that will detect that initial malware and stop it from infecting your computer. These scams only scratch the surface, so the simplest way to keep yourself safe on the internet is to ignore any email you were not expecting and to only interact with people you know and trust, especially on social media. Remember, it’s very difficult for you to “accidentally” break the law online, so do not be fooled if someone says you’ve done something wrong, failed to pay a fine, or other similar story. When you’re online, you need to ensure that every website you interact with is legitimate and there are a few simple steps to follow. When you go to a website, make sure it has an HTTPS tag in the name at the top of your screen. This is usually more secure than an HTTP tag, especially if you’re entering payment information since it means the site has SSL encryption which is generally missing on untrustworthy sites. A safe website will also display a green padlock icon to the left of the website’s URL. You can click on it to verify its security details. Finally, check the spelling of the web address. Fake websites often change a tiny detail to look like a different website. This could be as simple as replacing ‘o’ with ‘0,’ but you only see it if you’re paying attention. Online shopping has made it convenient to get everything from clothes to basic grocery delivered right to your doorstep. However, it’s important that you only shop from sources that you trust and websites that you are familiar with. Always check the reputation and reviews of any online store before you use their services. A simple Google search provides you with many reviews about users’ experiences. Make sure you read their FAQs and Terms of Service to ensure they use sound policies. A legitimate website will always have SSL encryption. When you’re checking out, make sure the required information is reasonable and necessary. No online store will need your Social Security number or your birthday to make a sale. It’s also safest to use a credit card because you can file a claim if the website was fraudulent. If you shop online regularly, check your online statements to ensure that no false charges appear. When possible, only shop using your home WiFi to avoid typing private information over a public network. 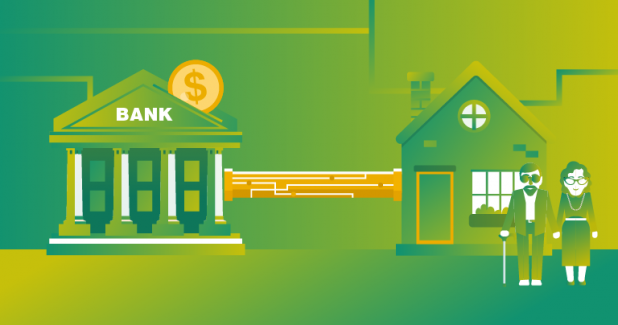 Use a private home network when banking. Who can see your data over public wifi? It’s hard to know. If you can’t avoid online banking while away from your own network, sign up for a mobile data plan or set up a virtual private network (VPN). Use two-factor authentication. This additional layer of security sends a code to your mobile phone that you need to enter with your username and password before you can log in. 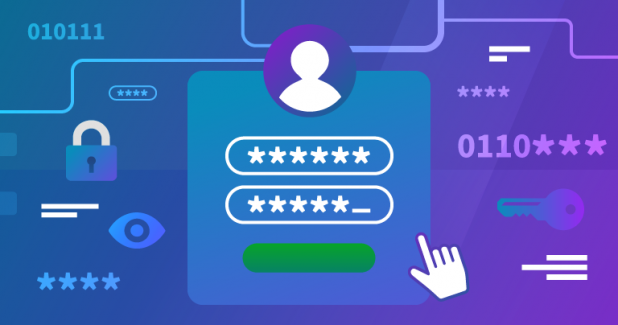 If any outsider gains access to your log in credentials, two-factor authentication will prevent them from gaining access to your accounts. Change your passwords regularly. Some data breaches involve old login credentials. If you change your password regularly, a hacker won’t be able to access your account with outdated information. You can use a password manager like LastPass to store these details safely while still changing them frequently. 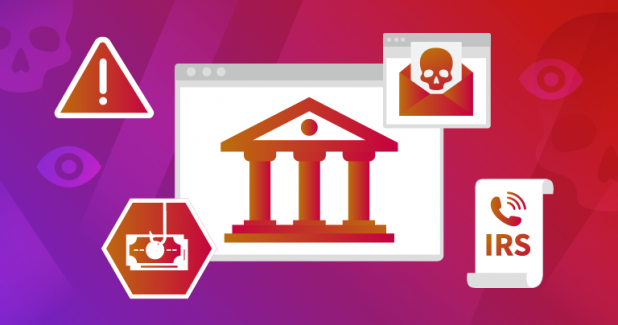 Avoid phishing emails that appear to come from your bank. Banks almost never call or email to confirm your details or passwords. If you receive a message, call the bank and confirm before you hand over sensitive information. If you have any questions regarding what the bank is doing to keep your data safe online and if there are any extra steps you can take, it’s best to contact the bank and ask for their advice. They generally have customer service representatives trained to help you transact safely online. Identity theft can happen in different ways. One way to protect your identity is to ensure that your system is safe from any external attacks like viruses. You also need to learn to spot the common scams and be skeptical of any message you receive online. Finally, keep a close watch on all your online accounts. Monitor your credit report and see if any new credit cards, loans, or other transactions have been made in your name. If you notice any suspicious activity, you can freeze your credit report and dispute the false transactions. Everything you post is permanent. You have the option to delete a post, but it stays on the servers and might have been seen and saved by someone else already. Be careful of what information you share. The information you share publicly can be used by others. Make sure you know everyone you accept into your social network. Avoid accepting requests from people you’ve never met. They may have malicious intentions. Use caution when you click links. Any third-party links, even those shared by your friends and family, could lead you to a harmful website. Sometimes clicking a link forwards that link as a message to everyone in your social network. This can not only be annoying but can also compromise the security of everyone in your circle. Don’t let the website scan your email address book. They might use this list to spam everyone in your network. Never give money to someone you’ve met through a social network. Imposter scams cost victims millions of dollars per year, and the victims are routinely “groomed” by the scammer. The friendship or romance may go on for months before the subject of money comes up, but it will inevitably happen. Never send someone money, agree to accept money on someone’s behalf, or other similar situations. These tips can help you make the most of your social networking experience. Simple caution can save you from compromising your privacy. No matter how cautious you are, your data could still be breached. You might discover it yourself by monitoring your accounts, find out via a notification letter, or after giving out sensitive information. Check your bank account transaction history to find any discrepancies. Check your credit report to see if any credit cards or loans have been taken in your name and calculate how much you have lost financially. This information will be useful when you file a police report. If you’re not in the habit of regularly changing passwords, now is the time to start. Change the passwords to all your online accounts as well as your computer system. If you suspect a malicious program has been installed on your system, use your existing antivirus software to run a security clean up and wipe out any unwanted or unrecognized programs. You can also look for some suspicious programs through the Control Panel and manually erase them. If you suspect your bank accounts have been compromised, contact your bank or financial institution to find out what systems they have in place to prevent any further loss. Find out if your bank will let you freeze your accounts so they can’t be used by anyone until the problem is solved (note, this will prevent you from using your accounts as well). Contact your local law enforcement agency to report the crime. Be aware that the work of tracking down the culprit can be very difficult, but at least you will have your police report as your claim of innocence. That can help you with lenders, creditors, and other financial entities since lying on a police report is a crime. The best way to protect yourself online is to know what to expect. Take the time to understand some popular threats and learn how to avoid them. Think of your antivirus program as a safety net that will catch you if your safe browsing habits aren’t enough. Ignore any emails from unknown senders. Keep your email out of the hands of predatory marketing companies. Don’t keep your passwords saved in a document on your computer, and change them regularly. It’s always easier to avoid danger when you know what to look for. 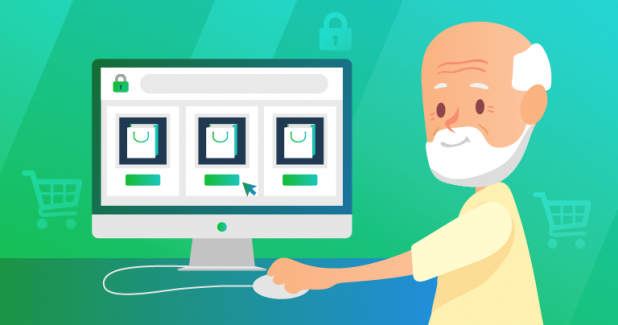 With good habits and strong security software, you’ll be able to browse safely, check in on your loved ones, and enjoy all the benefits of being connected. The post The Ultimate Internet Safety Guide for Seniors appeared first on SiteProNews.